This is where you can post requests for pairing threads in the Crazy Love forum! Please state what pairing you would like to see, such as NaruIno, ShikaSaku, or ChoujiTen! Only one pairing per thread. If your requested pairing is popular enough, and the moderators don't see any problem with it, then a thread will be created. Brilliant idea Smiter ! 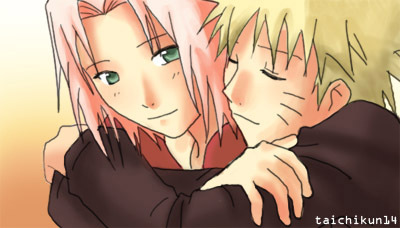 What would NaruSaku fans do without you and the team? Thank You. A thread for SasuHina Please! It was the first crack pairing thread to be created on this website by one of our Moderators himself, the number one Hinata fan of this website . It is also the crack pairing thread which had the most number of posts. Very popular indeed. The crack pairing which makes the most sense- Please ask for SasuHina ! Edited by ns.Believe.It, 21 September 2014 - 11:22 AM. SasoSaku please! I said SASOSaku, not SasuSaku! OK, a thread for SasuHina will be created! Have fun. The crack pairing forum wasn't my idea, it was FoolishYoungling who pushed for it. We thought it was an idea worth trying. If others second your request, then I can make a SasoSaku thread. Can you please reopen the NaruIno thread. Edited by luffyq1, 21 September 2014 - 11:47 AM. Can you also please consider the request I made to KnS ? Yeah I want it to be opened again.Please Smiter. Wait is this is the surprise u were talking? Edited by narulsaku, 21 September 2014 - 01:00 PM. SasuHinaaa!!!! Thanks a lot for approving. Uhhh I approve .Yeah please! Could you PM me about the request, please? I'm not sure what it was, sorry. OK, I couldn't find any old KakaSaku threads, so I will create one for you. Dang you made this earlier today than I thought you would! I just woke to see you made this like 4 hours ago. Our timezones must be really spaced apart. Get out of the United Kingdom! Edited by Konan-sama, 21 September 2014 - 05:15 PM.